Every year Universal Orlando puts on Universal's Mardi Gras, an event which has been dubbed Florida's Biggest Party. Universal just announced dates for its 2019 Mardi Gras, an event you won't want to miss. If you're planning a visit to Universal Studios Florida between February and April, you'll be able to join in the fun as the festivities are included as part of your park admission ticket or Annual Pass. 2019 will be here before we know it and all of the music, food, fun, and parades that New Orleans is known for during Mardi Gras season will be available at Universal Studios Florida. Universal's Mardi Gras motto is "you can't have a great party without great music," and they mean it. Bands from the Big Easy will play in the park daily, bringing the sounds of the Bayou to the Sunshine State. Universal Studios also has a Mardi Gras concert series featuring top artists in pop, rock, R&B, country and more. If you want to party NOLA style at Universal Studios Florida, be sure to visit during Universal's Mardi Gras happening nightly from February 9 to April 4. 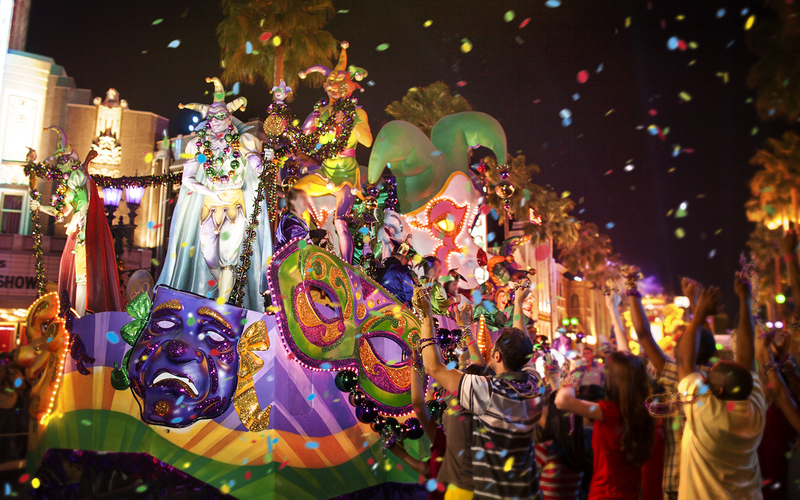 Have you celebrated Mardi Gras at Universal Studios Orlando? Share your favorite memory below!